21-01-2019 - ERBIL (Kurdistan 24) – The Kurdistan Region’s office dedicated to the rescue of Yezidis (Ezidis) kidnapped by the Islamic State announced on Sunday that they had brought back another woman who was abducted in mid-2014, making a total of 13 in just under the first three weeks of 2019. 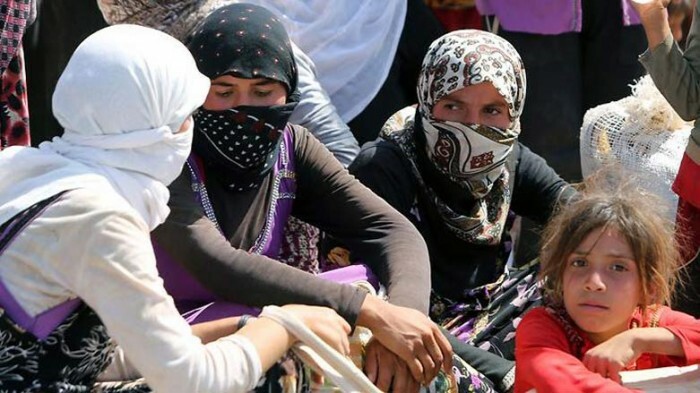 The 17-year-old Ezidi girl is identified as Ilham D. from the village of Tal Qasab, southwest of Sinjar (Shingal) town, Ezidi Rescue Office head Hussein Qaidi told Kurdistan 24. He mentioned that Ilham was rescued from Syria, but offered no further details, other than saying the Islamic State captured her in August 2014 after occupying the pre-dominantly Ezidi town of Shingal, Qaidi noted. The Ezidi official also mentioned that since the beginning of this year, his office had rescued 13 Ezidis from the Islamic State. Since 2014, he said it had saved 3,345 Ezidis of both genders from the total of 6,417 Ezidis kidnapped by terrorists. The emergence of the Islamic State and its violent assault on Shingal in 2014 led to the displacement of hundreds of thousands of Ezidis. Most of them fled to the Kurdistan Region, while others resettled to neighboring countries in the region or in Western states. Prior to the 2014 attack, there were roughly 550,000 Ezidis in the Kurdistan Region and Iraq. As the jihadist group took over large swaths of territory in Nineveh Province, 360,000 Ezidis escaped and found refuge elsewhere, according to the Ezidi Rescue Office.